Niacinamide - A Skincare Ingredient That Does It All? Niacinamide - A Skincare Ingredient That Does It All? A Skincare Ingredient That Does it All? There are some skincare ingredients that are A-list stars. They have true skills that have been well tested over the years and every time they have been they do their A-list thing. 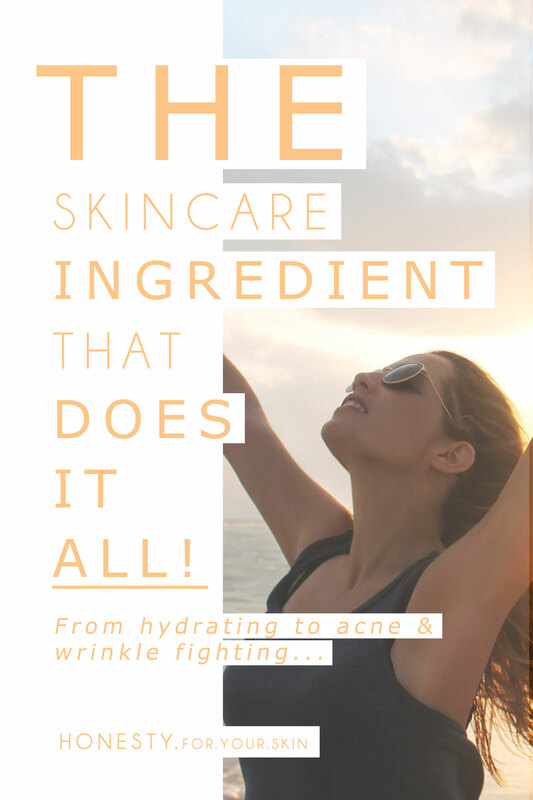 They bring awesomeness to your skin. Some are even multi-taskers that have a whole ‘Mary Poppins’ style bag of skin benefits to lend you. Some skincare ingredients take a little more time to get to know. They don’t all have as approachable names as ‘Olive oil’ or ‘Green tea extract’, don’t let the intimidating name put you off because this A-list skincare ingredient has a LOT to offer your skin. Niacinamide is a pre-curser [very sciency sounding word that just means from this the body can make something else] of Vitamin B3. Whenever I’m looking at a skincare ingredient I always want to know if the body already uses it? Is it something our bodies already need? 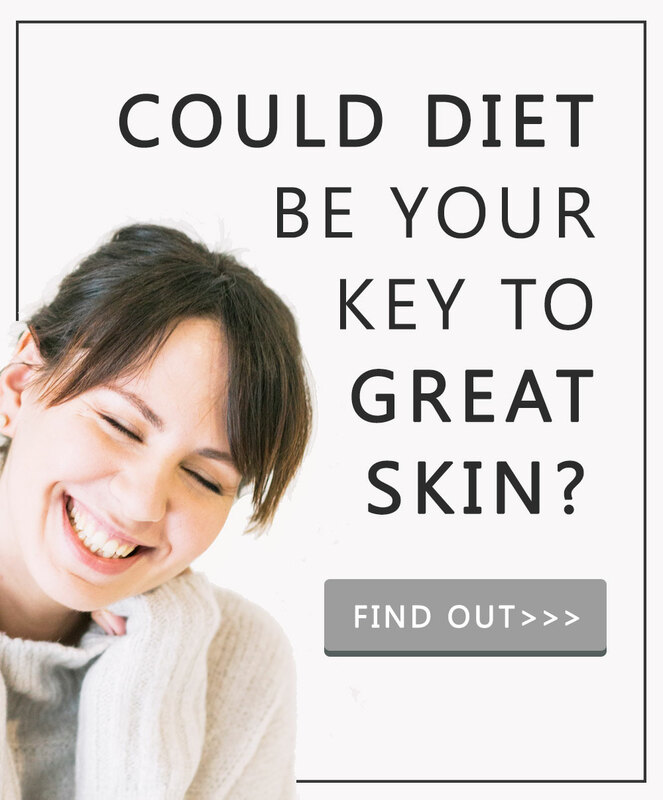 Is it like giving your body a ‘leafy vegetable’ or a ‘solid rock’ to munch down on? If our bodies already ‘know’ the ingredient and it falls into the ‘leafy vegetable’ category, then usually our bodies are ‘set-up’ to make good use of it as a skincare ingredient. It also means it ‘works with’ your skin which is a BONUS for sensitive skin types. Niacinamide is naturally found in our diet in trace amounts in fish (salmon, tuna…), white meat, eggs, flour and lentils. It’s even added to some foods (‘fortified’) by law, that’s what happens here in the UK where it’s added back into flour because the production process can degrade it. The body uses Niacinamide to make enzymes [keys that unlock biological ‘doors’] that help your body to do all the things that keep it healthy and fighting fit. WHAT DOES NIACINAMIDE DO FOR YOUR SKIN? Brightens & evens out skin tone. This means Niacinamide is great for anyone with hyperpigmentation/post-inflammatory hyperpigmentation [the brown marks that spots leave behind] and for anyone who feels their skin tone is lack-lustre. With a dose of 2-5% Niacinamide helps to ‘brighten’ darkened areas of the skin. Helps skin hold onto MORE water. If your reading about this ingredient in ‘sciency’ words, you’ll hear that said as it decreases TEWL [trans-epidermal water loss] and improves skin barrier function. #SimplesPlease. When your skin is properly hydrated it is in optimum wrinkle fighting mode. A good skin barrier is like the ‘Power Ranger’ [remember those guys?] squad to wrinkle defence. How does it do this? Niacinamide increases your skins free-fatty acid and ceramide content [those are 2 of the 3 ingredients that form your skins natural barrier]. It basically gives your skin an A+++ raincoat that keeps skin hydration locked in! At a 2% concentration of Niacinamide, it’s even better than Vaseline for keeping skin hydrated. Battles spots and acne. A 4% dose of Niacinamide has been tested better than an antibiotic based prescription spot treatment (clindamycin). Thought to work because Niacinamide has anti-inflammatory powers. Another skill which helps in the battle vs. spots and acne is that Niacinamide can reduce your skins sebum production, at 2% it also helps to reduce the oiliness of skin. Anti-aging, wrinkle fighting. At a 4-5% dose the anti-wrinkle powers of Niacninamide are un-leased. This skin loving ingredient is very good at penetrating skin, which means it can act on the deeper layers of your skin giving longer term effects. Say good-bye to red blotchiness. Which is great if you suffer from skin conditions like Rosacea. Scientists have shown that Niacinamide helps to reduce symptoms of Rosacea, we think that is all credited to its skill set of improving your ‘skin barrier’ which then makes your skin a whole lot healthier. WHAT DOSE OF NIACINAMIDE SHOULD I USE? If you want effective skincare then the dose is really important. If there isn’t enough of an ingredient then it is like eating 5 grapes to claim you have eaten your ‘5 fruit & veg’ for the day! Niacinamide is most active at concentrations between 2 and 5%. My advice, if you are looking for skin hydration benefits then go for 2%, if you want stronger anti-acne and anti-wrinkle effects then choose 4% or more. With all the multi-tasking skin love this ONE skincare ingredient has for skin, I bet you’re wondering where you can find it. I mean it’s not every day you meet someone else as brilliant at multi-tasking as YOU ‘eh *wink wink*. Olay – Professional Deep Wrinkle Complex – £29.99/30ml. Niacinamide is the 3rd ingredient on the list! That means there is 3rd most of this in the cream – YAY! Olay are a good bet for a dose of Niacinamide and most of their anti-aging creams contain it, there is also their ‘Anti-wrinkle Pro-vital Day Cream SPF 15’ and their ‘Anti-wrinkle Firm & Lift Night Cream’, [the night cream also has a high dose of petrolatum so expect it to be quite heavy on the skin]. Paula’s Choice – Moisture Boost Hydrating Treatment Cream – $28.00/2oz. As with most of Paula’s Choice Skincare there is a little bit of everything in here. Niacinamide is partnered up with lots of other antioxidants, plant oils, ceramides, cholesterol… the list goes on! This is a great little options for skin hydration. Skinceuticals – Metacell renewal B3 – £96/50ml. Skinceuticals are the ‘BOSE’ of the skincare world. They research away like crazy and therefore you do pay for it in the price tag. This Niacinamide cream contains 5% and is patent pending. Personally I believe you could absolutely gain the same benefits with one of these other options. Skin by Pom – Retin – $15/1 fl.oz. This beauty combines 3% Niacinamide with Retinol [a form of vitamin A that is anti-aging AND spot fighting] – another little powerhouse for your skin. The ingredients in this bottle are focused on being nature identical with skin loving oils like jojoba and no silicone texturizers that can make skin feel a tad too ‘slippy’. It also has one of my favorite skin soothing ingredients – Allantoin. Based on the position in the ingredients list there is more than 3% in here and that is some awesome skin soothing powers at your fingertips! Complete Skin Solutions – Niacinamide Pure Vitamin B3 Serum 5% – $24.99/1fl.oz. A hefty 5% dose in a naturally inspired creamy formula. This is another option for mineral oil/petrolatum/texturiser haters. You’ll find nothing other than plant oils accompanying this Niacinamide party. Palmers – Cocoa Butter Formula With Vitamin E Eventone Body Milk – £5.89/250ml. A barginlicious option for all over body moisture. Although Palmers don’t tell you how much Niacinamide is in the bottle, based on its position in the ingredients list I would take an ‘educated guess’ of 1-2%. It also gets ‘buddied’ up with a fat soluble version of vitamin C (Ascorbyl Palmitate) which will work well with Niacinamide to back a brightening punch – sensitively! 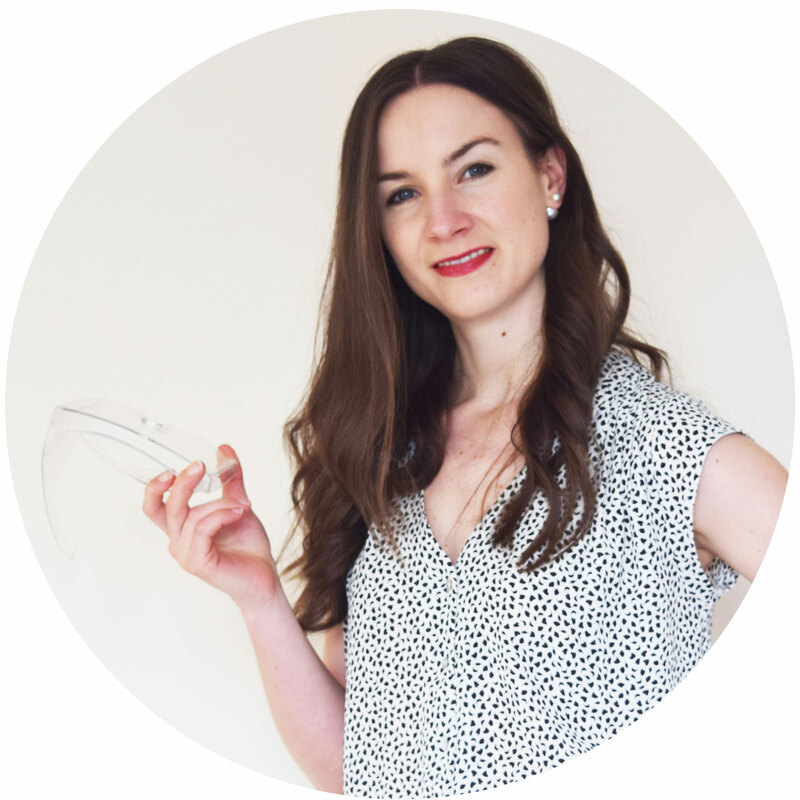 …and if you are still looking for more product recommendations and ‘info’ on this multi-tasking ingredients then take a peek at these blog posts by ‘Beautiful With brains’ – ‘Spotlight on Niacinamide’, FutureDerm – ‘Spotlight on Vitamin B3’ and a succinct summary by Paula’s Choice – ‘Niacinamide’. Have you been hunting for Niacinamide in your skincare?